If your team does any excavation or road construction projects you understand the benefits of being prepared when working in confined spaces. To keep everyone safe and meet project deadlines confined space equipment is essential. Fortunately, TSR not only carries the trench boxes, trench plates, and other shoring equipment needed, but also the safety equipment needed for this unique environment. 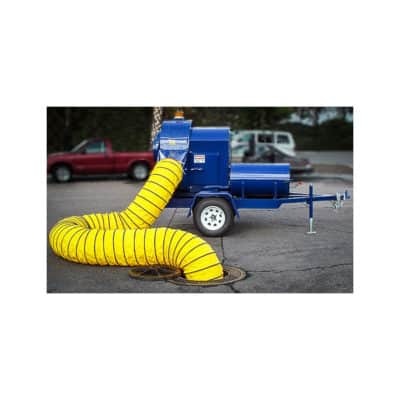 Depending on how often your company does shoring and excavation work, it may not make sense to buy confined space equipment. A cheaper option that also helps keep your shop uncluttered is rental. Serving the Southwest and Southern California out of 5 locations: Phoenix, Tucson, El Paso, San Diego, and Los Angeles, TSR has you covered. We also provide the Competent Person Training that’s required by OSHA and we believe is essential to keep your team as safe as possible in these often dangerous and tight spaces.